No other vocalist in the history of heavy metal has ever had tougher shoes to fill than Ripper Owens had replacing Rob Halford in Judas Priest. Forget about the vocalist transitions in Iron Maiden, Anthrax, Morbid Angel, Motley Crue or even Van Halen, Halford was the metal god, and Owens was an unknown singer from Akron. But here we are several years and a couple of albums later, and Owens is still standing. Standing tall, I might add, with the Ripper-fronted Priest's new album out on Atlantic Records and the band about to embark on a major U.S. headlining tour. The Metal Update caught up with Owens on the eve of the tour to find out how it feels to literally replace a metal legend. METAL UPDATE: [Pointing to Owen's "Akron Police" hat] That's a cool hat. You're from Akron, right? RIPPER OWENS: Yeah, you know it's funny. People think I wear it now, because of. . . you know. But as you can tell, it's an old hat. A friend made it for me about two years ago. His brother is a police officer. So, now I wear it and people are like. . . and then it says "RIP" on the back. . . and people think it stands for "Rest In Peace." MU: Do you still feel a connection to Akron, Ohio? RO: Oh yeah. I'm proud of it. MU: Do you still live there? RO: I still live in Akron and always will live there. I'm a big sports fan. I'm a big fan of the Cleveland Indians. I've got the tattoo. [Owens shows off his tattoo of "Chief Wahoo"] I've always been a hometown guy. MU: So what's going on musically in Akron? RO: I don't know. I haven't been out. I don't go out too much - don't know what's goin' on. I haven't been home in about a year, but I used to play there for years and years. I played at Ron's Crossroads. I played at an old place, a long time ago, called Ramone's, which was pretty much a staple for a long time. I played in some bands like U.S. Metal and all kinds of other bands, really. I played in a band called Seattle which was a tribute to Seattle music - it was really cool. MU: What bands were you covering with Seattle? RO: Soundgarden. Alice in Chains. It was a lot of fun. MU: Is that stuff harder to sing or easier to sing than old Priest? Which is tougher: a Rob Halford high- pitched wail or a Chris Cornell high-pitched wail? RO: They're really similar. Chris Cornell sings high in his natural voice, which is closer to my voice - Rob's voice was always a little. . . We're all a little similar, which is why I became a singer. But the difference is that my natural voice can go higher. Rob's high notes can probably go higher. I don't think Chris Cornell's high notes go quite as high, but his natural voice goes high. MU: Do you think that if Chris Cornell were sitting here with us right now that he would cite Rob Halford as a vocal influence? RO: I would think he would have to. MU: Who was the first guy to sing high-pitched like that in all of rock and roll? It couldn't have been Halford in Priest, could it? Did Priest predate Rush and Geddy Lee? RO: You'd have to go back further than that. MU: Robert Plant? Ozzy on the first Sabbath records? RO: Yeah, but even before that. Dionne and the Belmonts did a lot of falsettos. But. . .
MU: Michael Jackson as a kid . . .
RO: . . . you had that guy who sang "Sher-ry, Sherry Baby" [sung in very high-pitched voice]. You had all those. MU: I guess there was surf music like the Beach Boys. RO: Right. The Beach Boys sang falsetto. You had all of that. MU: People don't usually trace high-pitched power and prog metal back to the Beach Boys. RO: No, but I always do. To hear the Belmonts, that was the rock and roll of that time. MU: Were you literally in a Judas Priest tribute band at one time? RO: I was in a Priest tribute band. It was called British Steel. But people often think that's all that I did. I did the Priest tribute band because at that time I had an original band called Winter's Bane and we couldn't get any gigs. So, someone suggested we do a Priest tribute. We traveled around and opened as Winter's Bane and sold our CD's and then headlined as a tribute band. It was so similar. I did that for a year, and then I wasn't in it for a year when I got the phone call. I did this, and then my last show was videotaped. If it wasn't for that, I wouldn't have gotten the gig. I could have sent tapes in, but they wouldn't have seen that videotape. MU: What was it that was so special about that video? RO: You know what? I really don't know. It was really grainy - not a good videotape - but my voice really stuck out like it wasn't real - like it was dubbed in, they said. They really thought it might have been dubbed in. They wanted to be sure. They even called me back to make sure it wasn't dubbed in. RO: Well, management called me first and then Scott Travis, the drummer, called me. MU: Did you give them this tape? RO: No. I didn't even know about it. MU: Who gave them the tape? RO: Some friends of Scott Travis. MU: How awesome is that? You didn't even know. . .
RO: Didn't even know. It was my last show, taped in Erie, PA. These two friends of Scott's took the tape over to him, played it to him and they called me. MU: Were you a Priest fan? RO: I was a huge Priest fan. MU: So, from a fan's perspective, was Halford like the singer for you? RO: Yeah he was. I had some big influences. What's really cool is that by the time I joined Priest I had a lot of influences. Chris Cornell was a big influence of mine, as was Layne Stayley. Ronnie James Dio is a major influence of mine. And Halford was. There were a lot. Those are probably the ones that really got me. There were others like Joey Belladonna from Anthrax, or, I guess, Belladonna now. There were a lot. MU: You know how when you test out a new stereo, you need to bust out with a CD that will really test the limits of the system? MU: If you really wanted to push the boundaries of your voice singing Judas Priest material, if you really wanted to brag to your friends about being able to really pull off some difficult Judas Priest notes, what would you sing? RO: For me that would be - and I'm gonna pick a new one because it shows every singing style possible - it shows classic Priest and then my style: "Bloodstained" off of 'Jugulator'. It has the falsettos, the really heavy vocals, and then it has the melodic, pretty stuff in the middle. So, it's got all of these huge ranges where there's a voice and there's almost like a death metal voice, way underneath that you can hear, and it doesn't even sound like the same person. I think that's probably the one that I think is most. . .
MU: Is that tough vocally to pull off live? MU: What's the one. . . can you do "Cathedral Spires" live? RO: Right now we can't. The song is tuned down to maybe "C". And, obviously, there are some notes at the end of the song that I couldn't hit all of the time. There's some notes. . . I always call it my black lady wail, 'cause you can just hear that big, fat, black lady wailing away on that high note. I always tell my wife that that is a hard one to hit. We play tuned down to "D" in concert. People wonder why we tune the old songs down, well here's the reason: We try to play everything in the same tune. It helps out with some of the old songs, 'cause they sound heavier. But, unfortunately, some of the new songs are tuned up. "Cathedral Spires" would have to come up to "D," and there's just no way I can do that. We'd have to use different guitars or something. We do "Hell is Home" in concert, and it is in "C." I have to tune it up. I first told them I didn't think I could sing it, but you can get away with it. I could probably do "Cathedral Spires" live, but it is tough. MU: How about the old stuff. Can you sing "Beyond the Realms of Death"? RO: Oh yeah. We do that. And that's a pretty good one to sing. It's not too bad. "Victim" is easy. MU: So there's no old Priest note that gives you problems live? RO: Well, I have to watch the note at the end of "Victim of Changes". I hold that note out really long live. I try to hold and hold it, and sometimes my voice just cracks. Nothing you can do, sometimes it just cracks. MU: You're a big Cleveland Indians fan. Who is the biggest, signature star for the Indians of recent years who has now left the team? I know Alomar just left. . .
RO: Omar Visquel. Jim Thome. MU: Well when those guys left the team, don't you think that true, die-hard Indians fans were kinda tough on the guys who replaced them? RO: Well. . . You know what? What happened to me is like what happened with Manny Ramirez, in my opinion. We filled Manny Ramirez's spot with Gonzalez, and he came in and hit 35 home runs and batted .320 and 100+ RBI's. He had to fill some big shoes. People wanted Gonzalez, but they were afraid. Who was gonna put up the big numbers like Ramirez? I think what has happened is that it has succeeded for me. Compared to so many singers coming in - especially live. That is when it works. MU: I saw you on Halloween a couple years back here in New York at the Hammerstein Ballroom. MU: Yeah. Anyway, I have to admit, I'm a big Rob Halford fan, but you did an awesome job and I was really impressed. RO: I'm a big Halford fan too. I know what I would want. The show now is better than what you saw. It's even better now. MU: Well a lot of the guys in the band are getting older. Perhaps they need your youthful energy. RO: It could be. I don't think any of that has anything to do with it though. Halford is out there touring and doing his thing. He could be here. MU: Pretend for a moment you're not the singer of Judas Priest. You are just a fan in bar, singing in a Seattle tribute band or whatever. You and I are just kicking back talking music, and I ask you whether or not you think Judas Priest should reunite with Rob Halford or instead stick with another guy who sounds awesome but just isn't the classic guy. Don't you say go back to Halford? RO: I would have to have disagreed with that, at least from the perspective that I look at it. First of all, Halford left heavy metal and he said some mean things about heavy metal music. He said it's dated - it's no good - that the leather and the whole look was washed up. He said that it wasn't him anymore. Well good. But nothing panned out and he came back to heavy metal. I think that if I was the fan sitting there, I'd think that, well, we have Priest out there playing now, and the shows. . . musically it sounds as good as ever. And they love it. They love what they are doing. Do you want a band up there that isn't true? And don't get me wrong, I know Halford loves heavy metal and I am glad he is back. MU: You've listened to 'Resurrection'? RO: Yeah, and I'm glad he's doing it. I'm glad he's back. But the point is, we have five guys in the band that all get along and that are onstage having fun and getting into it. I know when some people come to the concerts, they come to watch me fail - some of them. But everything fits for me with this band. MU: You do have the whole Priest vibe down. You look like you belong up there singing for this band. MU: Do you think there ever will be a reunion with Halford? RO: I think I'm the wrong guy to answer that. MU: But c'mon, it's not about what you know, it's about what you think. 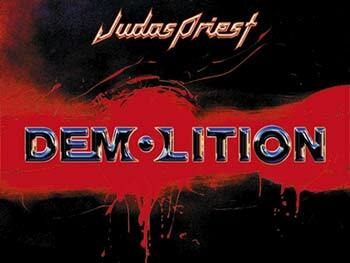 What's in your head as you go out there fronting Judas Priest? 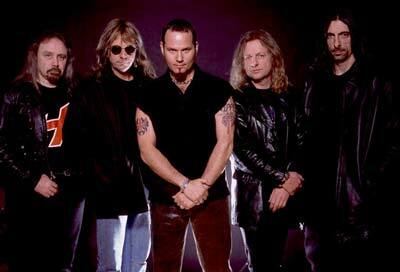 Do you, Ripper Owens, think they will ever get back together with Halford? Commercially, it makes sense. There is a lot of money to potentially be made. RO: Yeah, but the problem is. . . You have to look at it in two ways. Could they do it, make some quick money, and then be done? MU: Perhaps the sellout move is to get together. The true move is to stick with the status quo? RO: That's it. Whichever way, I don't care. I'm the singer now, and that's how I look at it. MU: And your career has had a boost anyway. Now you're famous in your own right. RO: That's exactly it. I wouldn't be done either. But is that how it would do and then would it be done? Or would they then get me back again? Would we then continue to play? We're doing fine now. We're doing as successful of a tour as a lot of bands are doing. We're still continually playing. Instead of playing huge places to half-empty crowds, we're playing decent sized places - the same places as bands who have their stuff on the radio are playing. We're playing some good places. MU: Roseland here in New York. RO: Yeah. And Universal Ampitheater in LA. The House of Blues all over. We're playing the same concert halls as everyone else. MU: Did you look at what happened with Iron Maiden and Bruce Dickinson coming back? That seemed to work for them. RO: It was a great boost for a few concerts, but I saw them in Cleveland at the Blossom Music Center and it was a very empty venue. MU: What did you think of Blaze Bailey's time in Iron Maiden versus new Maiden? RO: That's comparing apples and oranges. I don't think anybody liked those Blaze Bailey records. The difference was that while Blaze Bailey is a good singer, he wasn't the right fit. He just wasn't the right fit. My voice is the Priest-style voice. You listen to anything I've ever done in the past, Winter's Bane, whatever - that's my style. MU: Is that material available? RO: I think Winter's Bane was re-released on Century Media a couple of years back. It has some bonus material on there as well. MU: Do you like that record? Should your fans go seek it out? RO: I think that vocally, if people want to hear a ton of high notes, they can do two things: come to the concert, or get that CD. Well, that or the 'Jugulator' CD. MU: Did you step back from the high notes on 'Demolition'? RO: I didn't do as many. I tried them in a lot of places, but it just didn't seem to work with this one. The high notes are there in "Bloodsucker" and at the end of "Close to You". They're spread out. I get the high notes on the first take. I always tell Glen that the falsetto is the easy stuff. But it just didn't always work this time. One of Priest's first major, successful albums didn't have any high notes on it, 'British Steel''. Did it have any? RO: "The Rage". But there wasn't many at all. MU: Honestly, that is one of my least favorite Priest albums. Well, at least "Breakin' the Law" and "Livin' After Midnight". When I come to see you at Roseland, I won't be in the crowd hoping you break those two out. They're boring. I've heard them too many times. RO: Who is hoping for them? MU: But I bet you'll play them. RO: Well that's because we have to. There is probably another 1,000 people out there that would string us up if we didn't play them. But that's a great record in its raw approach. You have "The Rage" and "Old to Be Wise". But a lot of people want to hear high notes, and I sing high quite a bit in concert. Sometimes I tell myself, man, you've gotta stop. MU: What lesser-known Priest classics will you guys be busting out with live this tour? RO: We did a few different ones lately. We did "Desert Plains" and we actually did "Running Wild". We did "Metal Gods" and "Heading Out to the Highway". "Desert Plains" we just started doing so I hope. . . I know we'll do it for America. I know it. We did a couple from 'Demolition': "Feed on Me" and "Hell is Home" and "One on One" - which goes over really well. We might do our new single, "Lost and Found". We did "Bloodstained" and "Burn in Hell" off of 'Jugulator'. We did "Victim of Changes" and "The Ripper" - "Painkiller" and "A Touch of Evil". The typical ones, "Living After Midnight" and "You've Got Another Thing Comin" - only we cut out the sing-along part to shorten it. MU: What about the support? You've got Anthrax. There's another band who continued with a new vocalist. RO: Bands can do it. The hardest part for me was that nobody thought that Priest could do it. MU: Rarely has a band been so identified with its vocalist and still attempted. . . I guess Van Halen is an interesting example. RO: They got commercially bigger. I don't know if I can necessarily say they got better. MU: I think both you and I can agree that David Lee Roth Van Halen is the much better VH era. RO: Oh yeah, but they got bigger and sold more with Hagar. It has worked out for Judas Priest. And if something was to happen, it would probably be decided together. To be honest, I've been really accepted. It's just a given. Not that people don't like Rob, it's just that it's worked out. It has worked out. MU: Is there a scenario that you would tell them to go ahead and get back together? RO: There's plenty that I can do too. MU: Well, hypothetically, if you weren't with Priest, what would you do? What kind of music would you play? RO: I'd like to do something similar. There's a lot of musicians I'd like to work with. I'd like to do something with Scott Ian. I'd like to do something like Sevendust meets Priest or Godsmack meets Priest. Both those bands are in the same line as Priest. To me, it is really similar kind of stuff - straight forward kinds of vocals. And there's so many musicians I'd like to work with. Scott Ian. Dimebag. 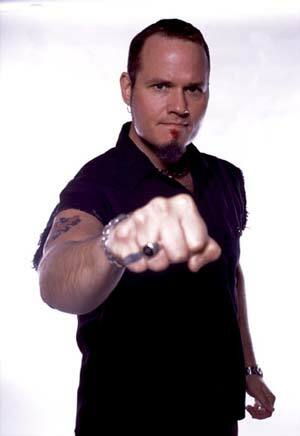 MU: I read a nasty Internet rumor a while back that Pantera was going to split with Anselmo and that you would be their new singer. RO: That was the funniest rumor I've seen in a while. It was a funny rumor for everybody but Phil. MU: So what was behind that? RO: I was just backstage with them hanging out, but I haven't even talked to Dimebag and his brother since Cleveland when they played there on the Ozzfest. MU: The Internet was "abuzz" with the rumor. . .
RO: It was the same thing with that picture of me and Rob. Everyone thought I was leaving the band, and I thought, "Why would I be in a picture with him if I was leaving the band?" MU: What did you think of Anthrax's aborted attempt at going out with both the old and the new singer on the same tour? RO: You know. . .
MU: That's one way this all could wind up. RO: Oh, we've heard it. And, you know, as funny as that may be, people probably should be thinking of that before they think of Rob coming back. They should be thinking that Ripper has worked out. He's the signer. It's worked out. So you think there would be rumors like that, 'cause it's worked out and Priest has just signed a major deal with Atlantic. MU: Let's talk about that. That's a big time record deal. The home of Tori Amos and Hootie And The Blowfish. RO: P.O.D. and Kid Rock. And there you go, 'cause as I'm reading on the Internet that Ripper is out of the band, I'm signing my name to a contract with Atlantic Records. I guess somebody wants me. I don't think Atlantic would have me sign it if. . .
MU: How's that been working out? RO: It's good. We had that big delay. The album sales haven't been great up until now, but that's because the album was released. The main part of the promotion was going to be for when we went on tour. We had major promotion lined up. I was doing TV shows, etc. MU: And then you had to cancel the tour due to 9/11? RO: Right. So, we're starting the campaign all over again with the second wave. Especially with a CD called 'Demolition', we had to lie low. MU: I think people are ready for it now. RO: Now it is fine. Now, if people take anything from 'Demolition', they'd think that it meant go to Afghanistan and demolish the terrorists or something. MU: You were supposed to tour with Iced Earth. Do you know their music? RO: Yeah. Jon is cool. I thought it was a good fit - a classic style metal band. MU: Who will take Iced Earth's slot? RO: I think it might be just us and Anthrax. You don't want to shorten Anthrax's slot any, which obviously we wouldn't do anyway. It's hard. To add more bands, you're gonna have to rush through sound checks and tear down sets quick. . .
MU: I heard Nevermore or Shadows Fall were possibilities. RO: Well we did talk about it and those were the bands we wanted. We definitely wanted Nevermore and we wanted Shadows Fall. It just became a matter of logistics, and Judas Priest and Anthrax is a good package. It is a good, solid package. And we're going to try to come back in the summer with another good package tour.